Preventing sexual violence is possible. It is also a complex issue that can be difficult to communicate effectively. In this workshop, Julie Patrick and Kristen Houser of RALIANCE share strategies for how to effectively frame and deliver key messages about prevention. The session aims to build skills for practitioners to deliver effective prevention messages, use plain language that everyone can understand, and increase accessibility of messages to more audiences. 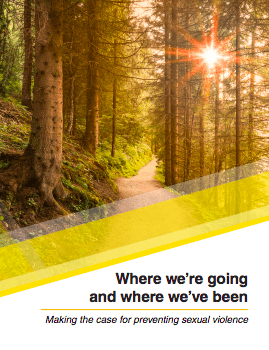 For more infor mation on communicating about sexual violence prevention, be sure to check out another resource from RALIANCE –Where we’re going and where we’ve been: Making the case for preventing sexual violence.